The fans of OnePlus will know that the company has been notoriously famous for dropping hints for their next in line phones via the launch of Oppo and Vivo devices. With the latest launch of the Oppo R15, rumours are in place that the OnePlus 6 has been revealed fully by the brand, so we have a solid idea what to expect. The Oppo R15 and the Oppo R15 Dream Mirror Edition were unveiled in China on Monday, and these phones have been claimed to act as the basis for the design in OnePlus 6. Also, with the launch of Vivo X21 UD, OnePlus too might have plans to put the fingerprint scanner below the screen. The OnePlus 5T was a worthy upgrade from its predecessor the OnePlus 5 in terms of design in the last year. This year in June OnePlus is set on releasing their new phone which is said to be the OnePlus 6. The ‘iPhone like’ design which features the famous notch is being adopted by a lot of brands to bring a better screen to body ratio and to manufacture phones with good design. With the launch of Oppo R15 which comes with the same design, this might confirm the notch also for the OnePlus 6. The phone can be expected to ship with a 19:9 aspect ratio 6.28-inch OLED full-HD+ (1080×2280) display. The companies have been rushing to implement the taller form factor of the 19:9 rather than the 18:9 like they’ve been doing previously. OnePlus doesn’t seem to be missing out on the trend that is building. BBK Electronics, the Chinese holding company of both OnePlus and Oppo, have been known for sharing designs of smartphones in both the brands. 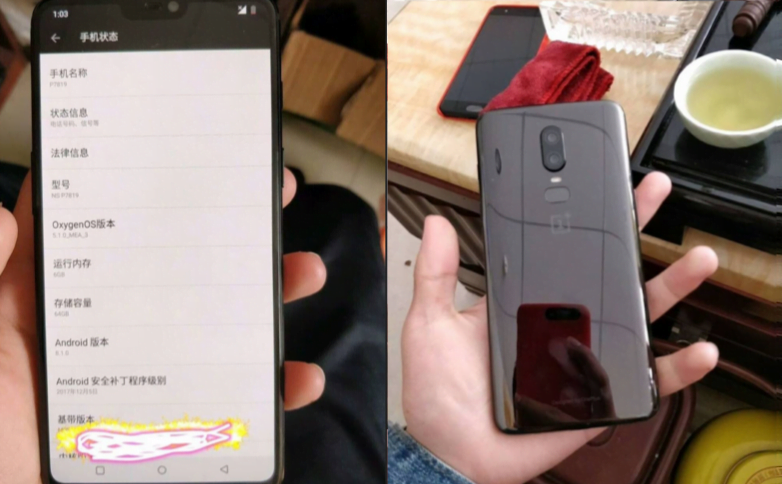 Last week, there were leaked images of the OnePlus 6 which combined with the launch of Oppo R15 can act as solid hints, signalling towards the notch for the OnePlus 6. It will be safe to say that we will get to see a lot of similarities in the OnePlus and the Oppo R15, especially in the terms of design. 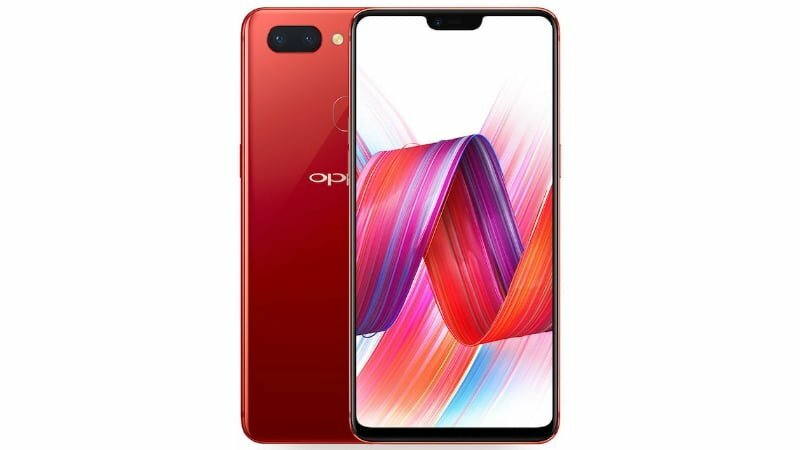 The recently launched Oppo R15 comes with an octa-core MediaTek Helio P20 SoC, this is accompanied by the ARM Mali-G72 MP3 GPU and 6GB of RAM, while on the other hand, Oppo R15 Dream Mirror Edition has a Snapdragon 660 SoC, paired with Adreno 512 GPU and 6GB of RAM. Since OnePlus is known to ship phones with power and performance, therefore, the company is expected to change the SoC with Snapdragon 845. Like the previous OnePlus 5T, the Oppo R15 fashions horizontal dual horizontal cameras with support for portrait mode. The software part is run by the ColorOS 5.0 which is based on the Android Oreo 8.1. The R15 by Oppo is an impressive device both in terms of design and specs and gives us some solid hints about what can be expected in the upcoming OnePlus 6. Vivo, another sister company of OnePlus and Oppo, has been known to give trails about OnePlus’s features in the past. They released the Vivo X21 and X21 UD on Tuesday. The highlight of these phones is the fingerprint scanner which has been given below the screen. This launch by Vivo also might tell us to expect a fingerprint scanner below the screen in the OnePlus 6. In support of all these speculations, the Vivo X21 and the Oppo R15 also bear a strong resemblance to each other with the almost same 6.28-inch display with the notch. The only big difference between these two phones are the vertical and horizontal dual camera setup. Summarising, the two features – Notch and the under display fingerprint sensor are expected in the OnePlus 6, and this fact has been hinted by the launch of the Oppo R15 and the Vivo X21.